In November 2017, Maddy Harland welcomed Amma, India's foremost spiritual leader, to the UK. Find out why and what she said. In November 2017, I was given one of the greatest of honours: to welcome India's foremost spiritual leader, Amma (Sri Mata Amritanandamayi Devi) to the UK on the 30th anniversary of her first visit and in the company of the Indian ambassador, Dinesh K. Patnaik (second left), and the renown film director and artist, Shekhar Kapur (far right). You would be perfectly entitled to ask why did Amma's organisation ask me to welcome her and make a short speech? It is because Amma is a very dedicated environmental change-maker and her organisations do a huge amount of ecological education and practical projects in the world. She is a great supporter of permaculture, specifically funding permacultutre trainings and centres around the world. She thinks every family should eat organic vegetables at least once a week and deeply engaged with the effects of climate change and mass migration. So it was very much my honour to welcome such an engaged activist and dedicated leader in front of over 1000 people and to speak to them about her environmental and permaculture work. "Meeting Amma and hearing her teachings some years has been one of the great highlights of my life. I am therefore deeply honoured to welcome her to the UK on her 30th anniversary visit. "Amma is a spiritual teacher of the utmost power and insight in a world of escalating climate chaos, environmental destruction, displaced people and poverty. Her practical approaches to solving these ecological and human crises collectively are unique. Over a million trees planted worldwide already with a pledge to plant another 5 million. 13 kilometres of vulnerable shoreline stabilised by saplings in India. 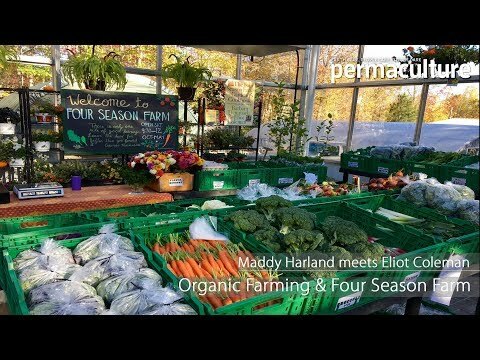 Pioneering home and community vegetable gardens and teaching people permaculture and regenerative organic techniques – the cutting edge of horticultural and agricultural training and implementation (with heritage seeds, building soil, zero waste programmes etc.). In Kerala, India Embracing the World has distributed free seeds to 10,000 women so they can grow organic vegetables to feed their families. 1,000 acres of land has been earmarked for this project. She is also a practical pioneer of health and hygiene through the Clean India campaign and beyond. Her InDeed campaign has already generated 26,000 commitments from people worldwide to conserve finite resources and interact with the natural world in a more conscious and respectful ways. Embracing the World training centres teach people how to embed sustainable principles in all aspects of their lives – not just in gardening, farming or conservation. These centres are permaculture designs, ultilising eco-building techniques, rainwater harvesting, with organic gardens and orchards, growing food for the local community. "Amma’s holistic approach is spirituality in action, a way we all need to live. We need to preserve the natural world. Amma teaches us that Divinity is expressed through Nature and that we are part of the web of life. "It is therefore a great honour to welcome Amma and celebrate her vision, love of humanity and the natural world. She is living, embodied proof that ‘another world is possible’ and she is using her life it make it so, truly embracing the world." Imagine if all our spiritual leaders engaged in this kind of work. It would transform the world in a deeply meaningful way for the poor, those suffering from enforced migration, and the effect of carbon sequestration through huge tree planting programmes and the promotion of regenerative agriculture, permaculture, and organics. Watch Shekhar Kapur's recent film about Amma. Maddy Harland is the editor and co-founder of Permaculture magazine. You can pay a visit to her forest garden via YouTube. She is the author of Fertile Edges - regenerating land, culture and hope.